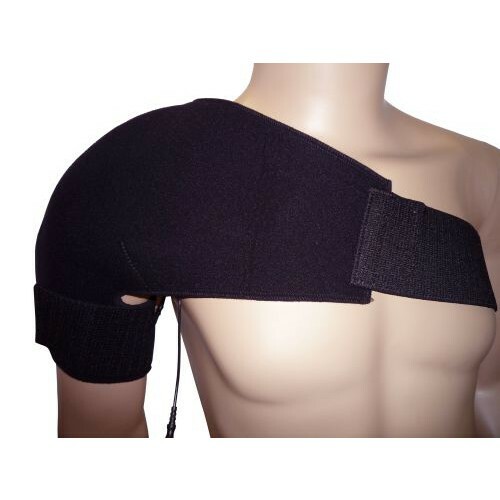 Sport Shoulder Fabric Electrodes is a shoulder brace from BioMedical Life Systems woven with conductive fabric that uses garments and pads instead of traditional electrodes to provide electrical stimulation to the entire covered shoulder area. 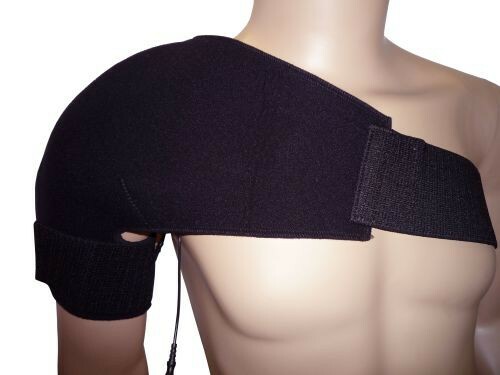 Woven with silver thread to provide even stimulation to the back and shoulder, this BioMedical Life Systems shoulder brace is ideal for patients who suffer from arthritis, neuropathy, carpel tunnel, tennis elbow, ACL injuries, low back pain and other conditions. Sport Shoulder Fabric Electrodes is designed with a conductive fabric that is a great alternative for patients with skin that is too sensitive for traditional electrodes. Reusable and hand-washable, this fabric shoulder brace is intended for single-patient use only. You might also be interested in similar BioMedical Life Systems products, such as TENS Unit 2000XL 2 Channel. Conductive garments and pads take the place of traditional adhesive electrodes. For use in conjunction with an electrical stimulation device such as TENS or HVPS. Garments are woven with silver thread to provide even stimulation to the entire covered area. Indicated for patients suffering from arthritis, neuropathy, carpel tunnel, tennis elbow, ACL injuries, low back pain and other conditions.